Nano Discovery Inc. is a biotechnology company based in Orlando, Florida, United States. 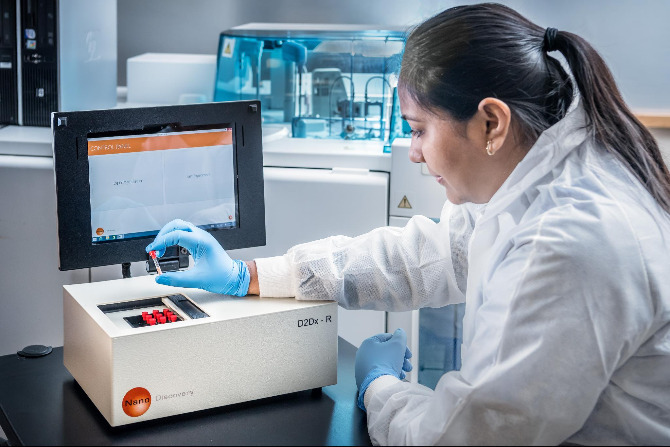 We develop, manufacture and sell bioassay products and diagnostic tests for infectious diseases control and health management using a patented single-step and washing-free immunoassay technology, D2Dx, invented at University of Central Florida, Orlando, Florida. We seek to improve the lives and health of humans and animals by developing and deploying new assays, diagnostic technologies and products which provide real time, actionable knowledge to combat the ever evolving threat of infectious diseases in our world. Costly pathogenic warfare, including the indiscriminate use of antibiotics, threatens not only human lives and health but also animal and plant resources that serve to support human life. Nano Discovery’s products provides cost-effective, critical information to develop targeted solutions for the prevention, management, and control of infectious diseases, reducing the use of antibiotics. "Ultrasensitive DLS-based nanobiosensor for drugs screening in cellular context"
"Detection based on hydrodynamic size changes of gold-nanodumbell probes upon drug-protein-DNA binding interactions." "Nanoplasmonic biosensing probes enabled high specificity and low background noise." "Rapid competition assay for determining relative binding affinities and drug activation pathways." "Broadly applicable nanobiosensor concept for DNA-binding molecules and drug study." "A well-developed, functional immune system is paramount to combat harmful attacks from pathogenic organisms and prevent infectious diseases. "Our study demonstrates that the test may be used not only for monitoring the immune function development from neonates to adults, but also for detecting active immune responses during infection". "Early diagnosis of HIV biomarkers or genes is the key to reducing acquired immunodeficiency syndrome (AIDS) mortality." 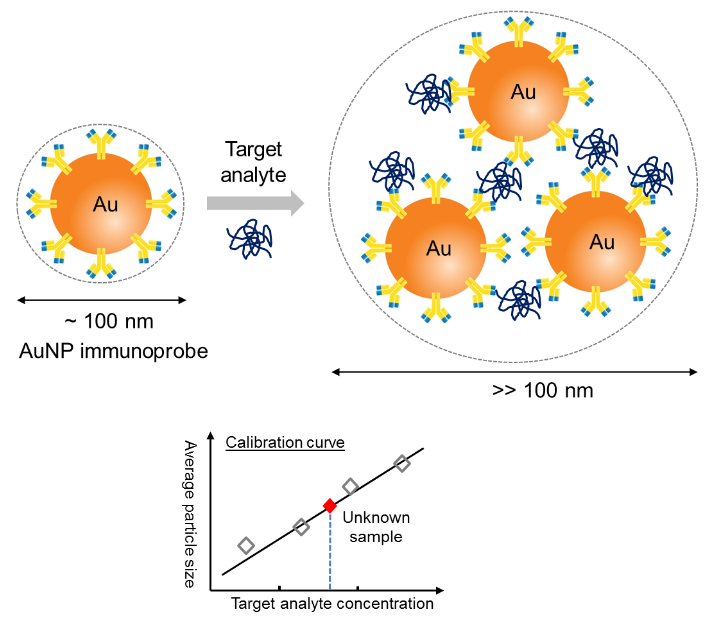 "...we developed a novel polymerase chain reaction–dynamic light scattering (PCR-DLS) assay for one-step sensitive detection of HIV DNA based on the average-diameter change of gold nanoparticles (AuNPs)." "...this PCR-DLS assay can effectively improve the specificity of PCR reactions, which can greatly increase the detection sensitivity, with a detection limit of 1.8 aM (S/N = 3)"
"...we detail the development of a simple, rapid, and sensitive method for quantitative detection of influenza A virus using dynamic light scattering (DLS) and gold nanoparticle (AuNP) labels." "Optimization of the assay provided a detection limit of <100 TCID50/mL which is 1–2 orders of magnitude improved over commercial diagnostic kits without increasing the assay time or complexity." "...this assay was demonstrated to perform equivalently for influenza virus prepared in different biological matrices."